We have a good old fashioned short covering rally in wheat. 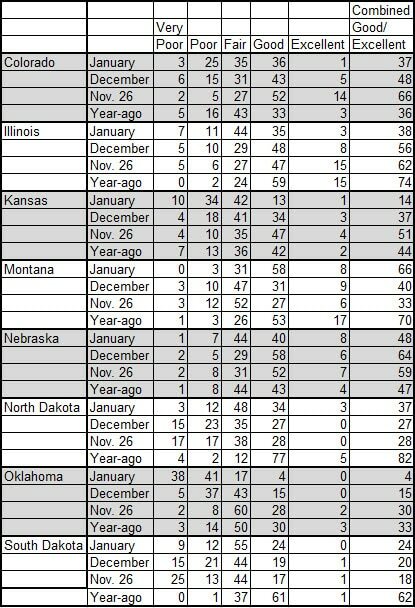 Below is a table of the winter wheat ratings for selected states. KS and OK are in very rough shape. As a result HRW wheat is up about 50 cents in the past week. The funds are heavily short and they have no choice but to reduce their position. For clients that have access to www.turnerstakeag.com, I have an updated Supply and Demand table for wheat that includes 2018-19. We will not see the USDA update the market on 2018-19 until May but based on my numbers it is going to be a bullish surprise – and I haven’t even taken into account yield reductions yet! Corn is a follower in this wheat rally. I have heard the stories about Arg hot and dry weather but better conditions in Brazil seem to cancel out the Arg concerns. The fact is SRW is up 35 to 40 cents and HRW is up 50. Corn is up 10 in the same time. If wheat did rally like this I have a hard time believing corn would be up even 5 cents during the same period. I am a bull on corn but not just yet. I think we are seeing the funds having to liquidate positions. Farmers should use this opportunity to dump old crop and get some new crop sales booked if they have not started yet. Funds are also covering soybeans. 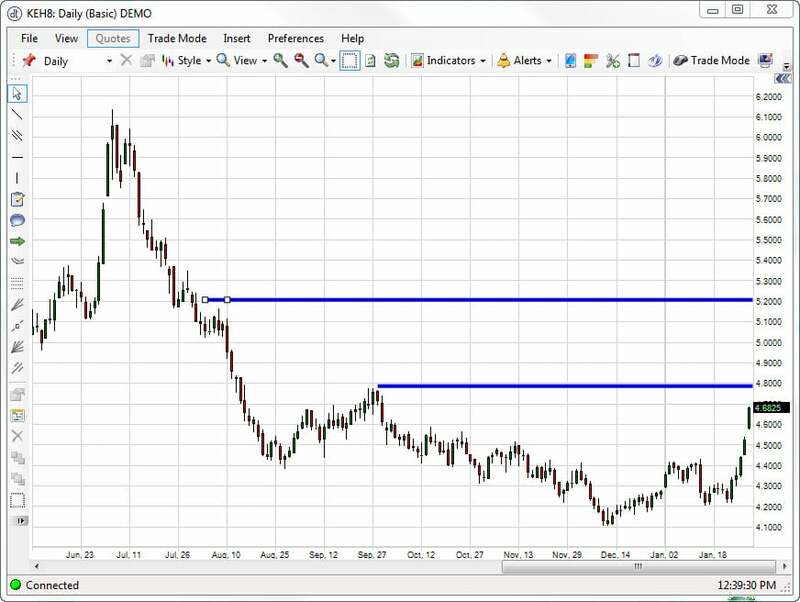 Based on the South American crop and US acres I can see beans trade up or down $2.00 from here. That is a $4.00 possible range. My biggest concern for beans is we are expecting an increase in US acres this year. If we get 91mm or 92mm acres and above a trend line yield we could be in the $8s come harvest. If we have less acres and below a trend line yield we can trade to $11 and maybe even make a run at $12.